Russian Prime Minister believes the political culture of protesters, police and those in power should be more enlightened and the scale of administrative liability for violations during mass rallies should be more flexible. “The political culture of all the political forces should be different,” Medvedev said during an interview with famous Russian TV host Vladimir Posner aired on Channel One on Monday. “It refers to protesters, those who keep public order and provide security. It also refers to those who make the final decision,” the Russian PM noted. He also advocates higher fines for violations during mass events. “Do we need huge fines? Huge no, but higher ones, yes, since if one day you breach a rule, the following day pay 500 rubles (about US$ 15) and do the same things again, it is unacceptable,” Medvedev stated. Currently, the State Duma is working on a new bill – proposed by United Russia party – that significantly strengthens punishment for illegal rallies. The document has already passed the first reading in the parliament. 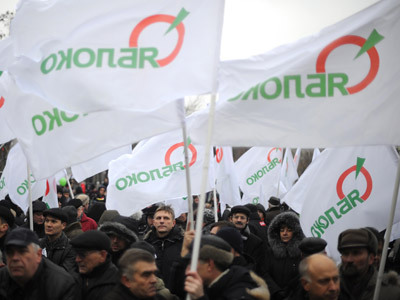 Initially it was suggested to introduce a fine of 1.5 million rubles (under US$50,000) for violations during rallies. However, later the parliamentary committee for legislation recommended dropping it down to 600,000 rubles (about $20,000). Medvedev stressed that he personally selected members of the new cabinet, while the president supported his choice 100 per cent. 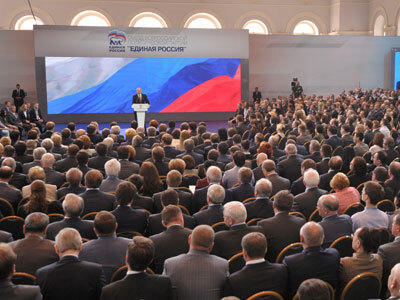 Putin’s position on the matter was simple: he said he would back the proposals regarding the candidates for the ministerial seats at least because, “If I propose someone for the post of chairman of the government, he has right to form his own team.” Medvedev pointed out that the situation was exactly the same in 2008, when Putin’s government was formed. He also rejected the speculation in the media concerning the shift of the center of decision-making to the Kremlin that appeared after several former ministers obtained posts in the Presidential Administration. “There is only one person who is entitled to directly give orders to the government – it’s the president. 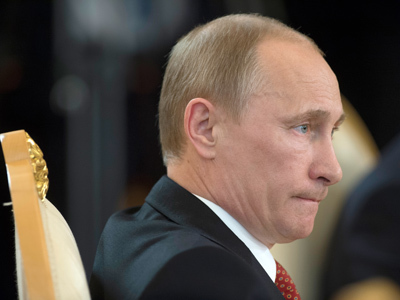 All other [members of the Administration] are advisers, at the best,” Medvedev stressed. He underlined that there can be no “technical” prime minister in Russia. “Every day the prime minister signs dozens of decisions and orders of the government that affect lives of millions of people,” he said. “Do you really think that [any of former PMs] called anywhere and asked anything before signing [decisions]? 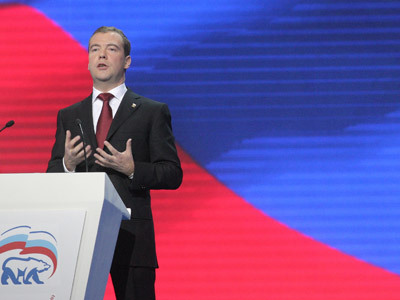 It is always a responsibility of the person who puts his signature, therefore this function can never be technical in our country,” Medvedev pointed out. Defense Minister Anatoly Serdyukov retained his post after Medvedev became PM despite being criticized by the military and population in general. “Whatever they say…I believe Anatoly Serdyukov is a successful minister. In terms of reforming the system of the Defense Ministry in the past four to five years he has done more than any of his predecessors,” Medvedev stated. 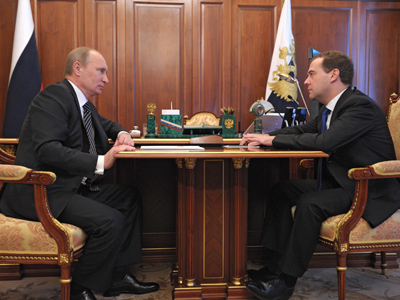 After leaving the Kremlin, Medvedev also replaced Putin in the post of United Russia’s leader. Unlike his predecessor, though, he also became a member of the ruling party. During the interview with Posner, he said he believes that a prime minister should also represent a political force. “When you are always above the battle, parties can’t develop – both the party holding the control stock and other parties,” he observed. 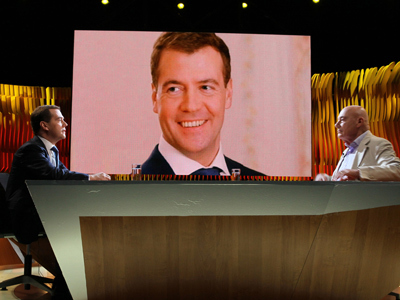 Medvedev recalled that he has become the first head of the government in Russia’s modern history who is a member of a political party. “It’s an absolutely correct situation. That’s what democracy is,” he added. 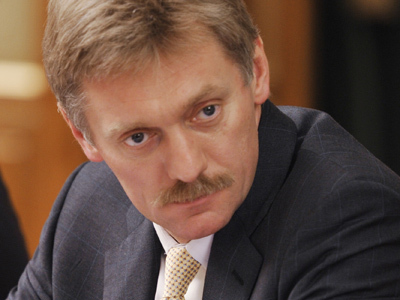 He said that he named a significant renewal of United Russia among his conditions for joining the party. 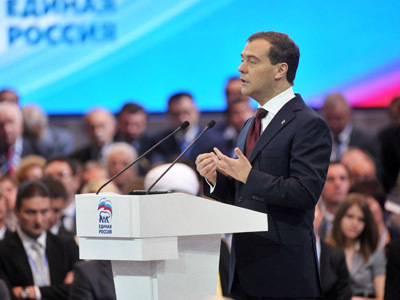 “This should be done with any party once in 10-12 years, because in any country, with any social order – including in our country – people get tired of a specified set of faces, specified constructions and other things,” Medvedev explained. On a different note, the PM also disagreed with the opinion that the Russian Orthodox Church pursues aggressive policy. "I don't think the Russian Orthodox Church or any other church is engaged in an aggressive intervention into public life," he told Posner. 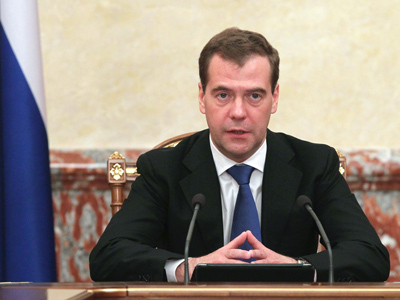 Medvedev stressed that the Church is not involved in decision making. “But I think it’s normal that the Church as an institution has regained positions it somehow lost during the Soviet era,” he added. Due to time differences, the interview has already been shown in Russia’s eastern regions, while the central part of the country will only get to see the program on Monday evening.